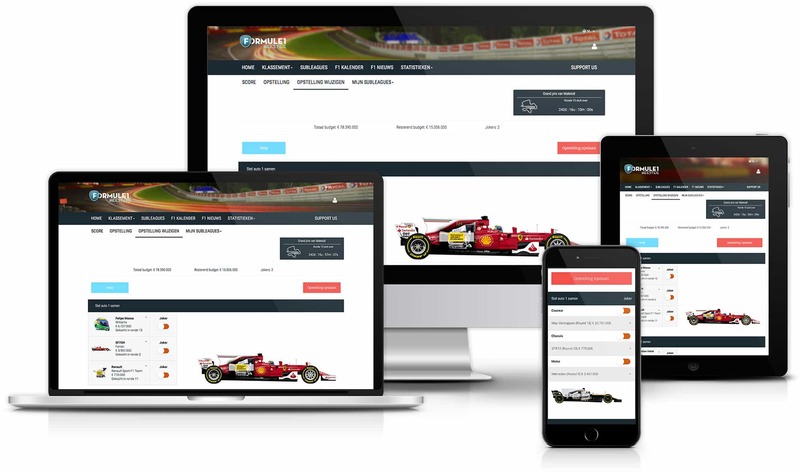 Grand Prix Master - The Formula 1 Manager game! 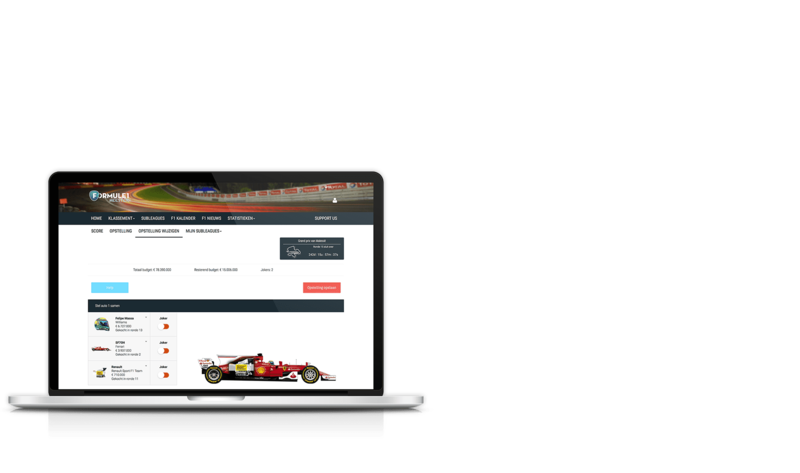 - Experience the Formula1 races even more intense! 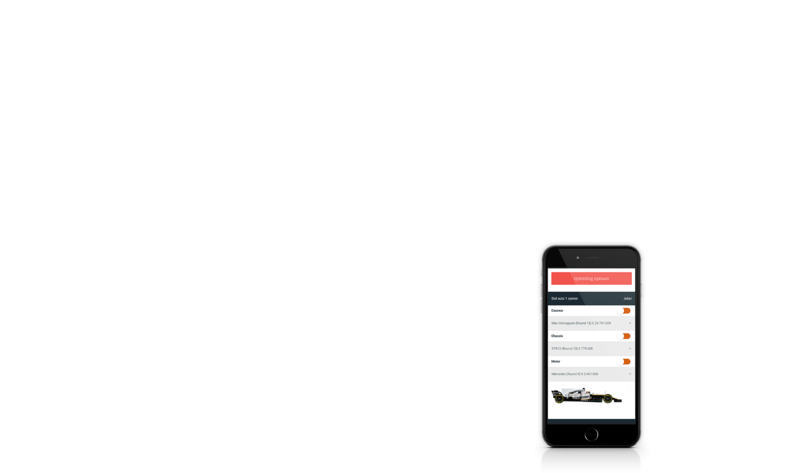 Grand Prix Master: THE Formula 1 Manager game! 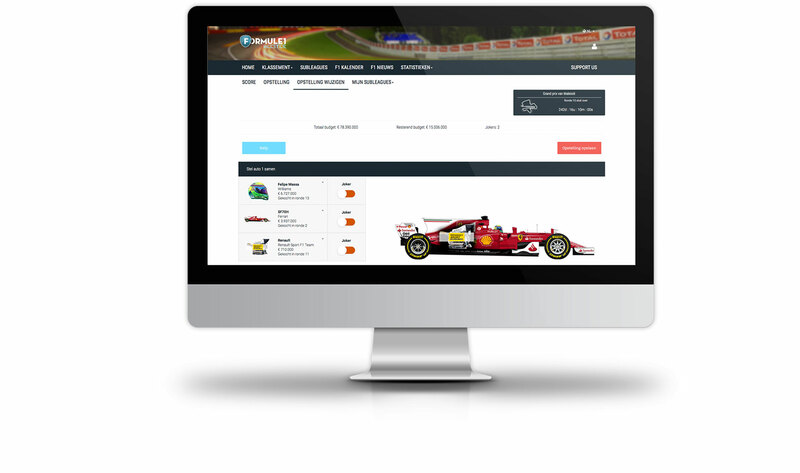 Experience the new Formula 1 season even more intensively. 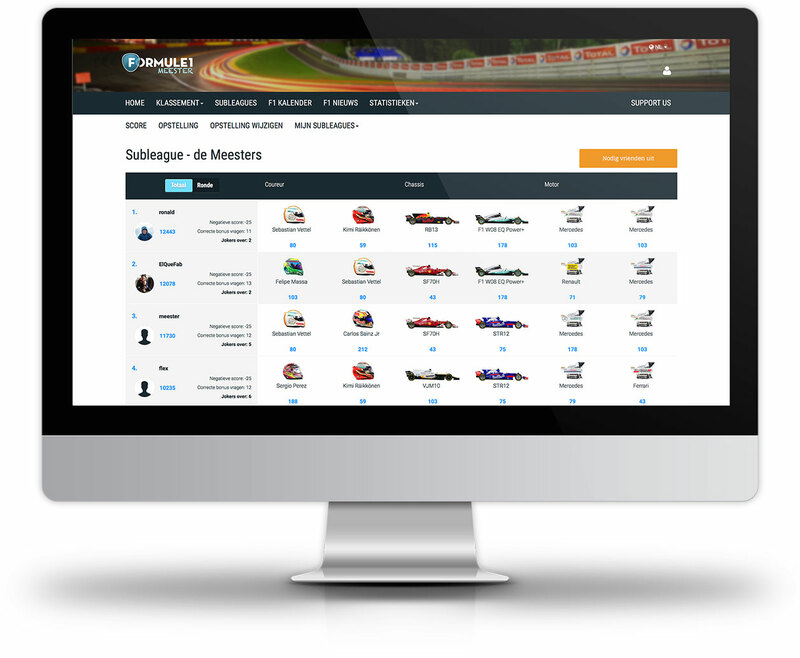 Sign up for free, compose your team and compete with other Formula 1 Masters, colleagues and friends! THE Formula 1 Manager game! 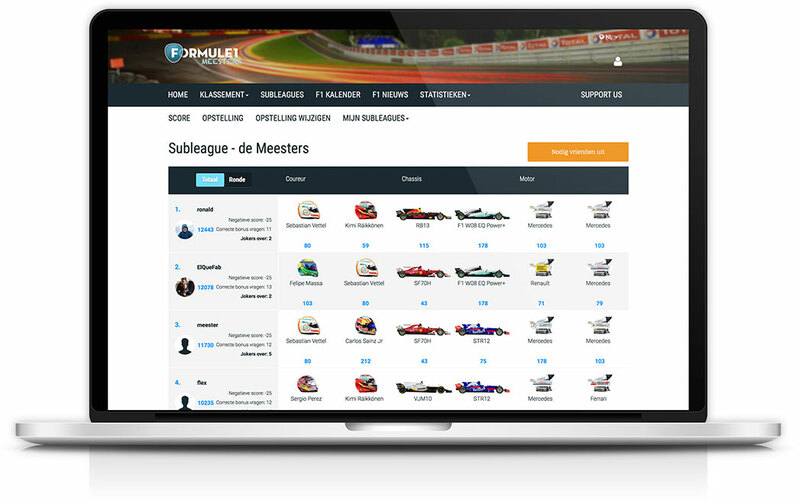 With Grand Prix Master you will experience the F1 season even more intense. 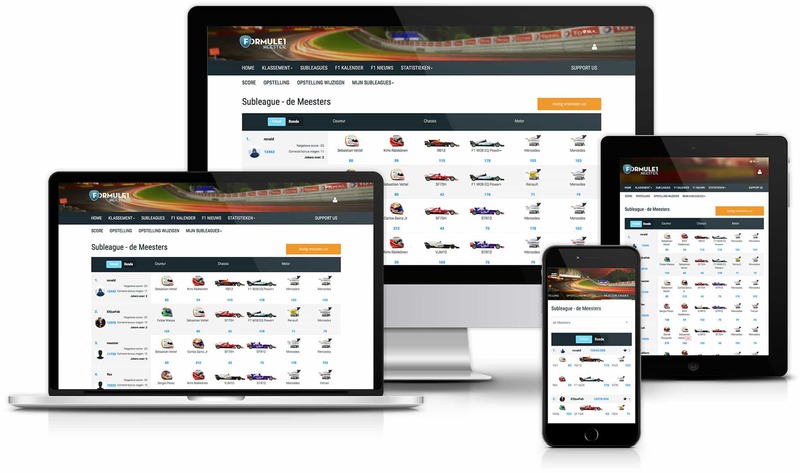 Select your favorite drivers, chassis and engines for your own team.  Based on the Grand Prix race you will earn points with your line-up! In this Formula 1 Manager game you will manage a Formula 1 team consisting of 2 drivers, 2 chassis and 2 motors. You will start with a challenging budget of 4 million dollar that will be increased during the season based on your archievements and a fixed salary of 1 million dollar per game round. No other Formula 1 Manager game has such extensive subleagues as Grand Prix Master! 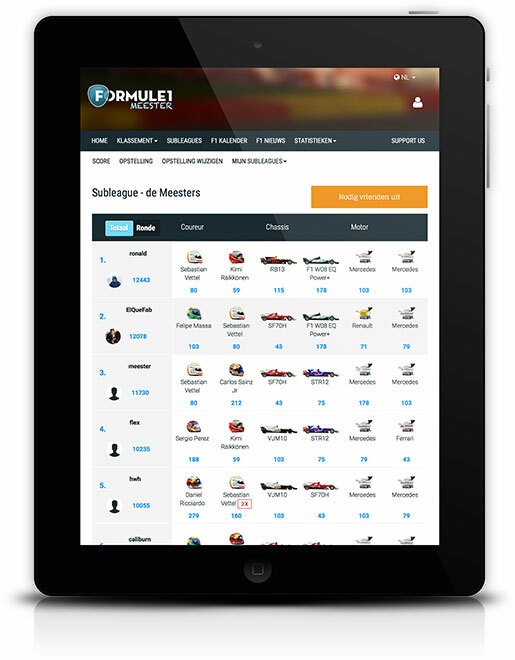 In this innovative type of competition you can compare scores in different ways such as: top score, negative score, round score, results of your drivers and compare all of the setups with the participants in the subleague. In this way you can really see who's the best! That's what we call: Ultimate battle! No other Formula 1 Manager game has such extensive subleagues as Grand Prix Master! 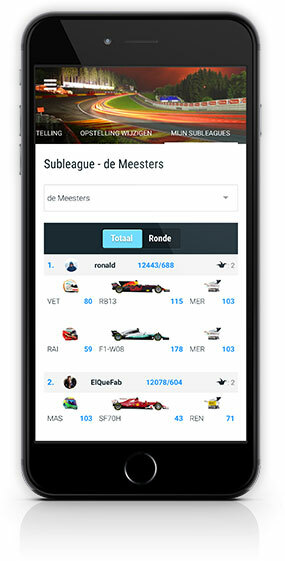 In this innovative type of competition you can compare scores in different ways such as: top score, negative score, round score, results of your drivers and compare all of the setups with the participants in the subleague. In this way you can really see who's the best! That's what we call: Superb fight! No matter where you are, Grand Prix Master is always available for each device. Whether you're on your way and you need to adjust your lineup, or if you're on the sofa with your tablet. 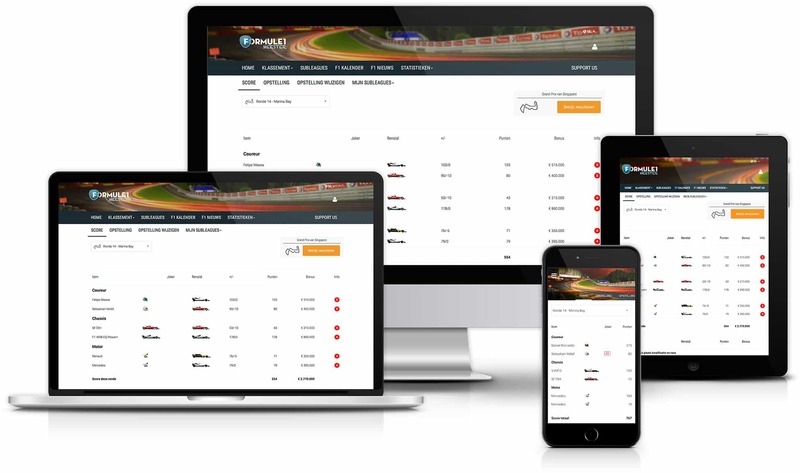 Grand Prix Master is specially developed for each device. 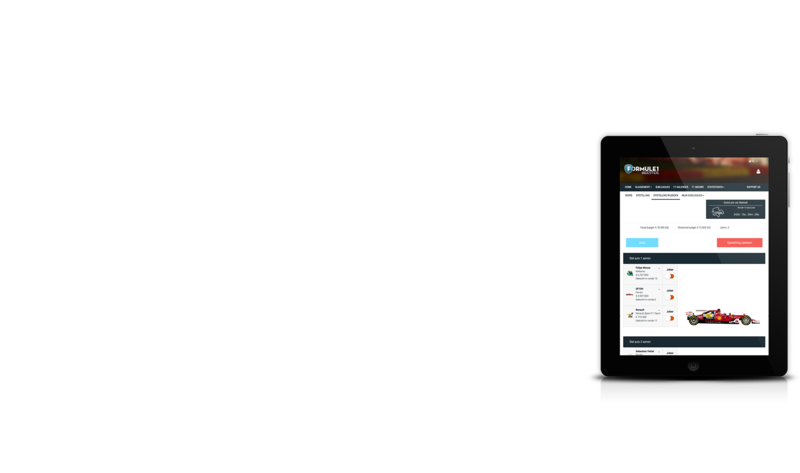 The mobile version has been developed for mobile use, so you can always see your results and easily customize your setup. In addition, it looks slick on each device and has been Grand Prix Master carefully designed and developed. 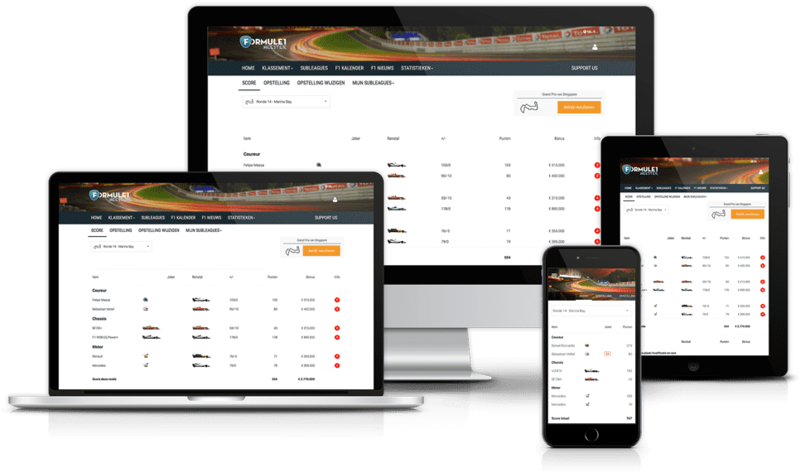 No matter where you are, Grand Prix Master is always available and has been developed for each device: mobile, tablet and desktop. Whether you are on your way or at home and you wish to adjust your line-up, it looks slick on each device. Grand Prix Master has been carefully designed and developed. 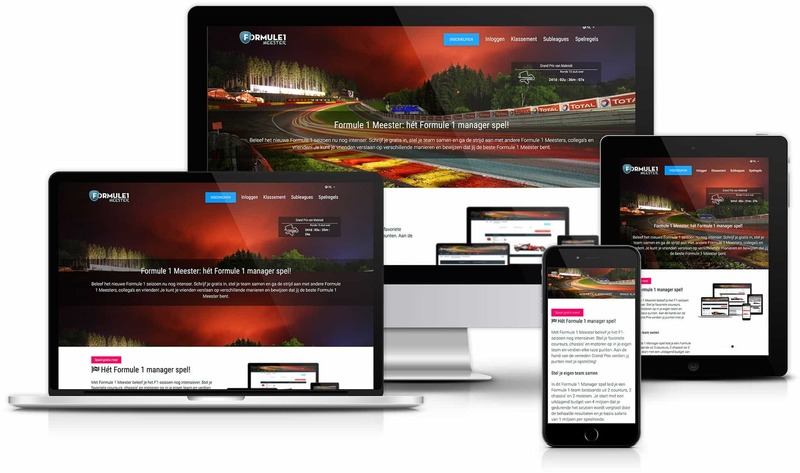 Experience Formula 1 like never before!